75 cm. MOOD Pack. 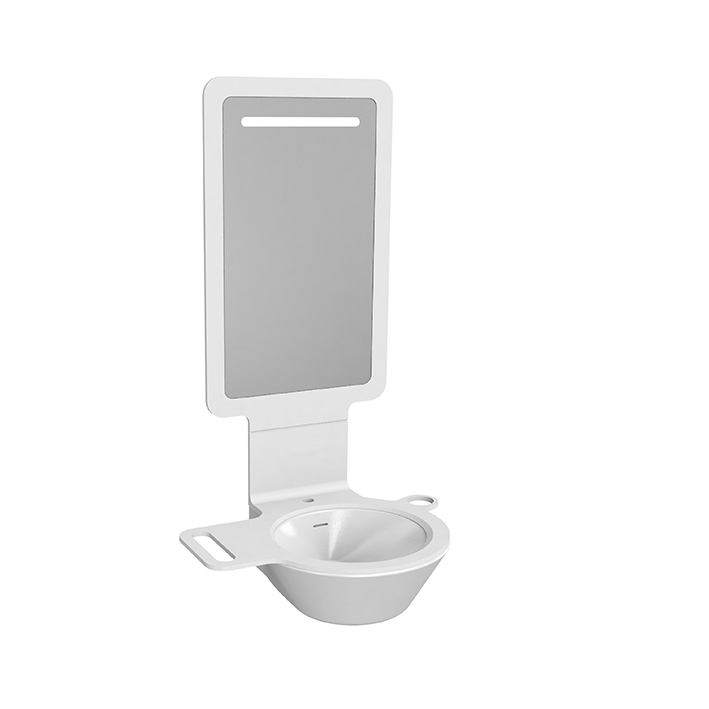 Ceramic washbasin with overflow. 75 cm. KRION® countertop. Deck mounted basin mixer. Space for towels and soap dispenser. 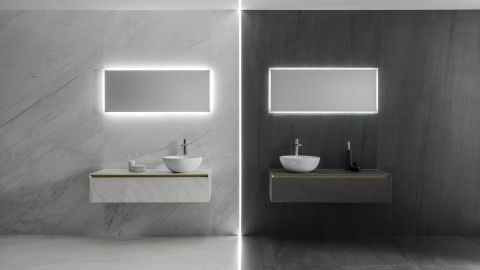 KRION® frame mirror with LED lights and sensor. The soap dispenser 100123137 - N699520039 or 100123151 - N699520038 need to be ordered. Is necessary make a hole behind the mirror to introduce the electricity transformer and connect it to the electricity supply. 120 cm. Mood Pack. Ceramic washbasin with overflow. 120 cm. wide. 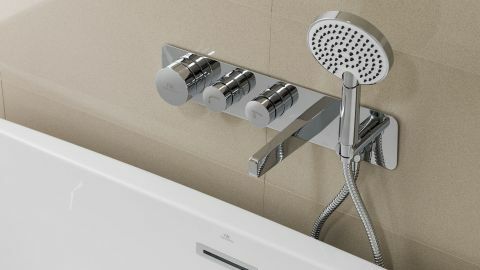 KRION® countertop, right version and deck-mounted mixer taps. With space for towels and soap dispenser. KRION® frame mirror with LED lights and sensor. 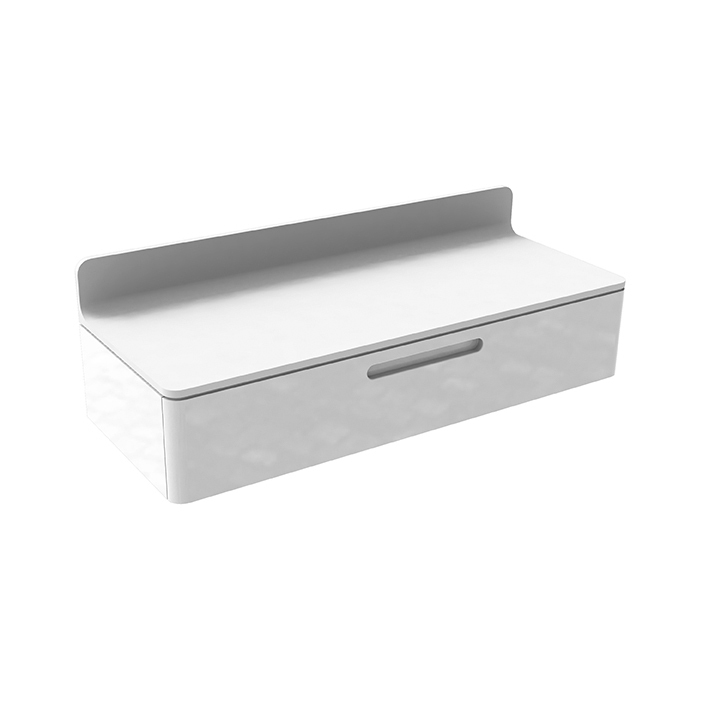 Gloss white lacquered wood with rotating drawer. The soap dispenser 100123137 - N699520039 or 100123151 - N699520038 need to be ordered. Is necessary make a hole behind the mirror to introduce the electricity transformer and connect it to the electricity supply. 120 cm. MOOD Pack. 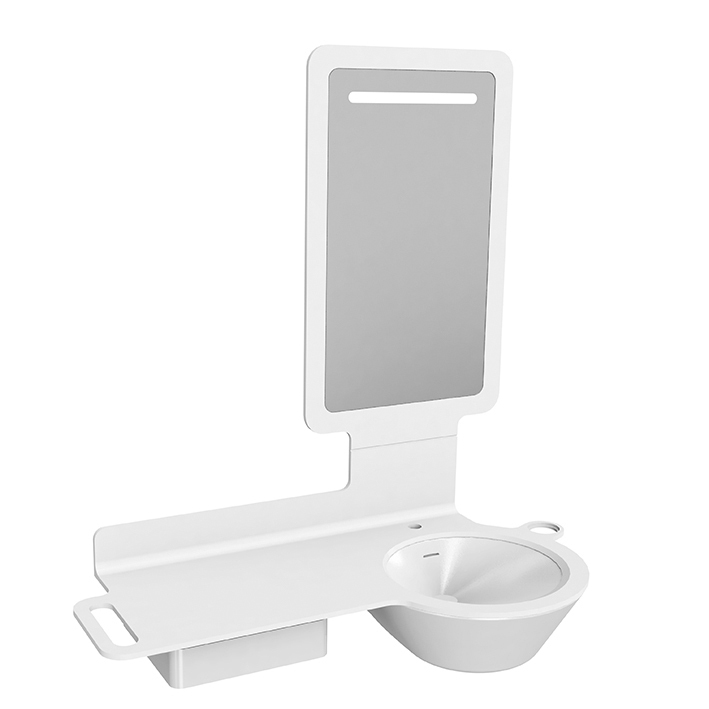 Ceramic washbasin with overflow. 120 cm. wide. 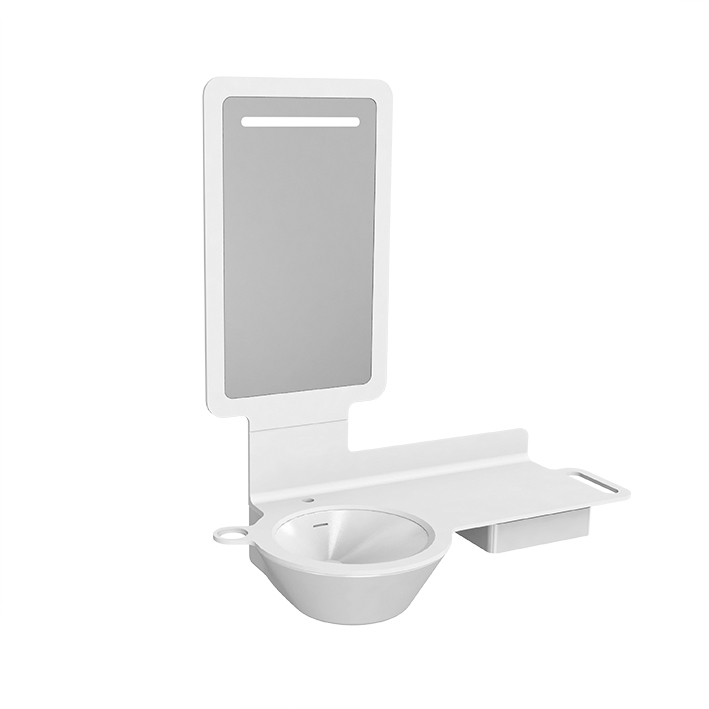 KRION® countertop, left version and deck-mounted mixer taps. With space for towels and soap dispenser. KRION® frame mirror with LED lights and sensor. Gloss white lacquered wood with rotating drawer. The soap dispenser 100123137 - N699520039 or 100123151 - N699520038 needs to be ordered. Is necessary make a hole behind the mirror to introduce the electricity transformer and connect it to the electricity supply. MOOD Pack. 94 cm wide wall-hung module. 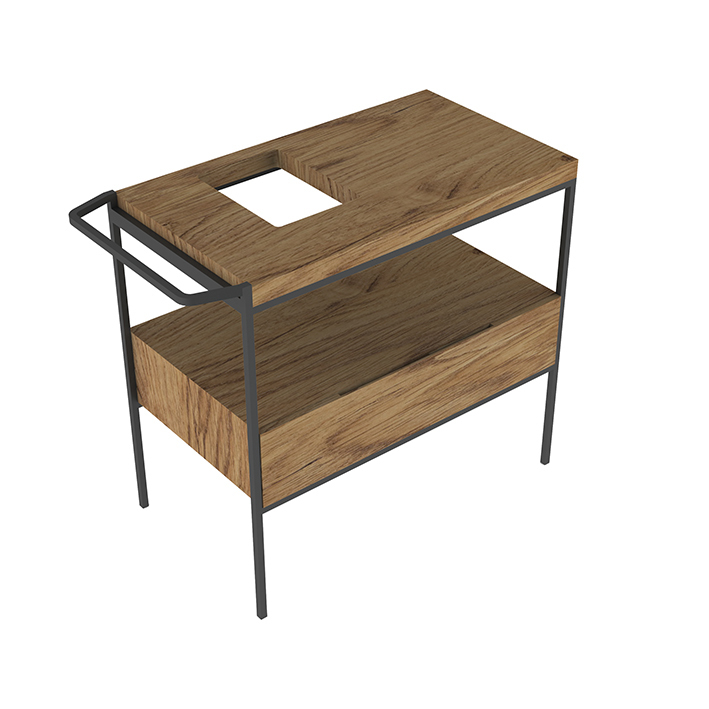 Slow-close drawer. 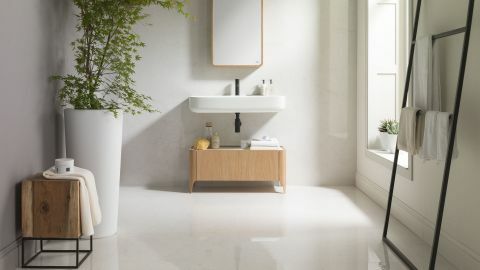 94 cm KRION® MOOD countertop. PURE LINE WOOD. 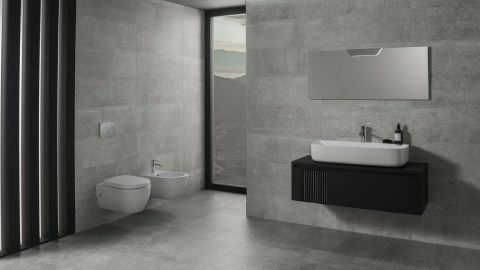 -Floor-mount vanity 90CM with metal estructure lacquered in black, with one drawer with soft-close system and internal drawer separators. PURE LINE WOOD. 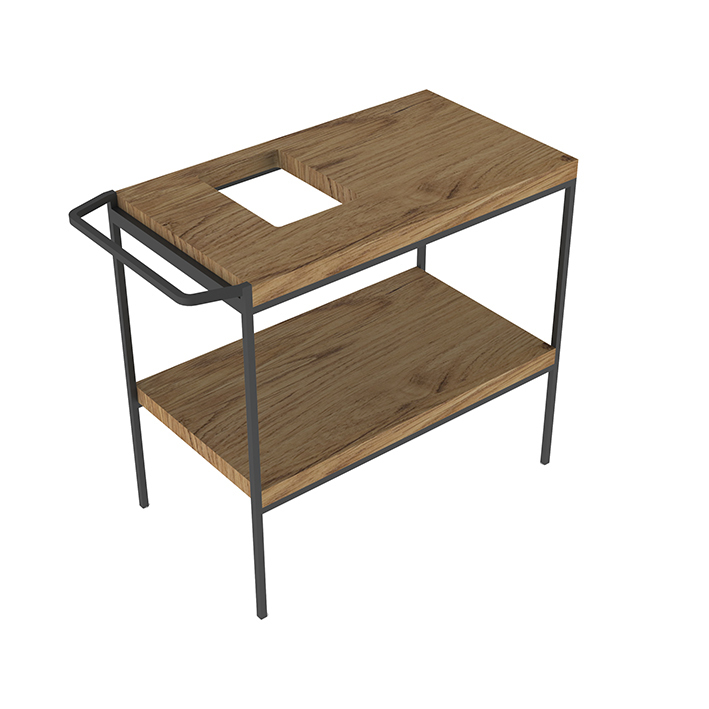 -Floor-mount vanity 90CM with metal estructure lacquered in black and shelf. PURE LINE WOOD. 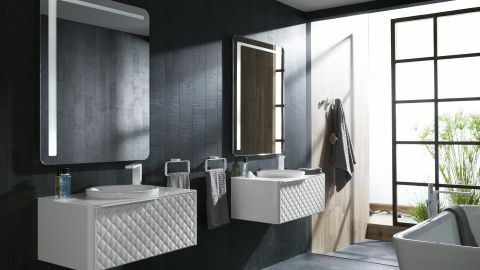 -Floor-mount vanity 150CM with metal estructure lacquered in black for two sinks, with one drawer with soft-close system and internal drawer separators. PURE LINE WOOD. 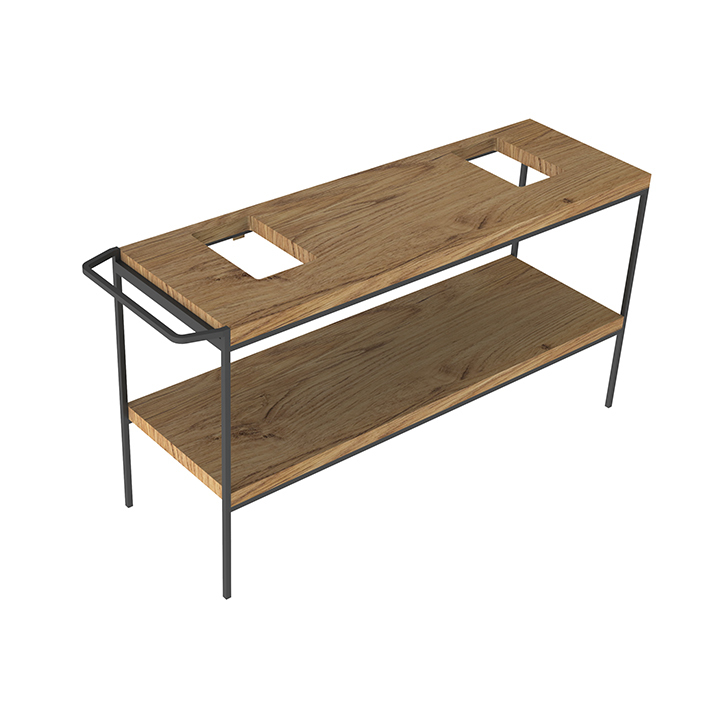 Floor-mount vanity 150CM with metal estructure lacquered in black for two sinks and shelf. PACK PURE LINE WOOD. 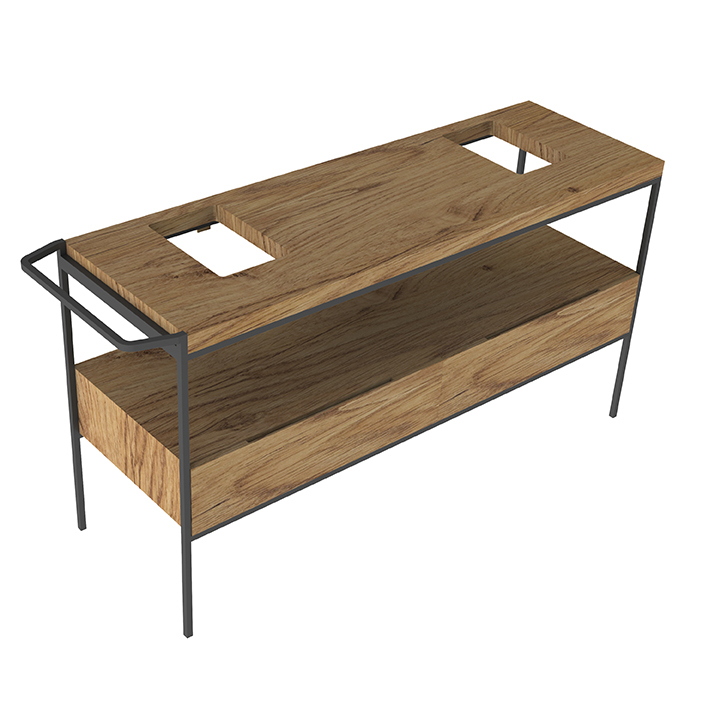 -Floor-mount vanity 150CM with metal estructure lacquered in black for two sinks, with one drawer (100208170). With mirror (100207771+100208172), wall hung basin (100189721)x2, single lever (100180992)x2 y kit drain+siphon (100114599+100180522)x2. PACK PURE LINE WOOD. -Floor-mount vanity 150CM with metal estructure lacquered in black for two sinks and shelf (100208171). With mirror (100207771+100208172), wall hung basin (100189721)x2, single lever (100180992)x2 y kit drain+siphon (100114599+100101722)x2.